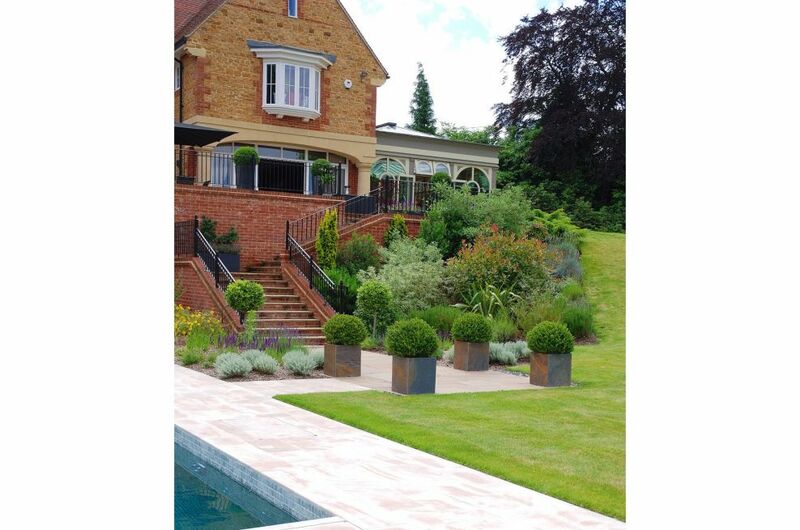 IOTA’s Granite and Slate planters were selected for a high-end residential new build in Surrey. 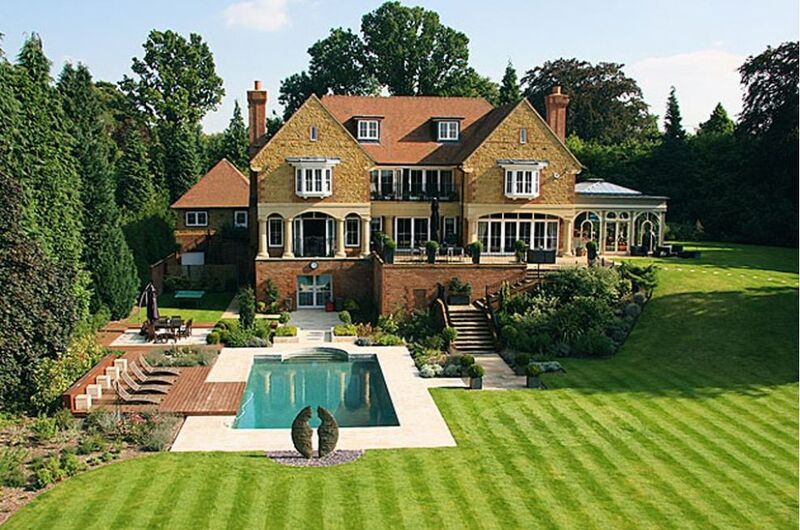 The 7,000 sq. 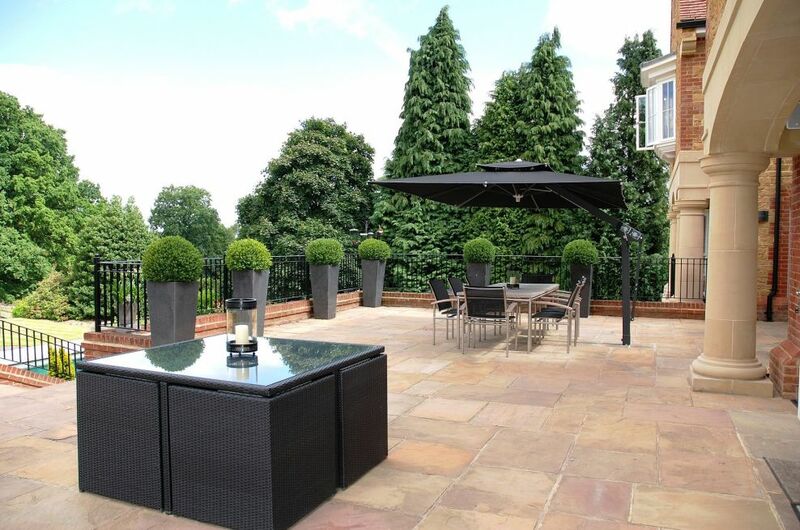 ft. home includes four reception rooms, and six bedrooms with en suite bathrooms. 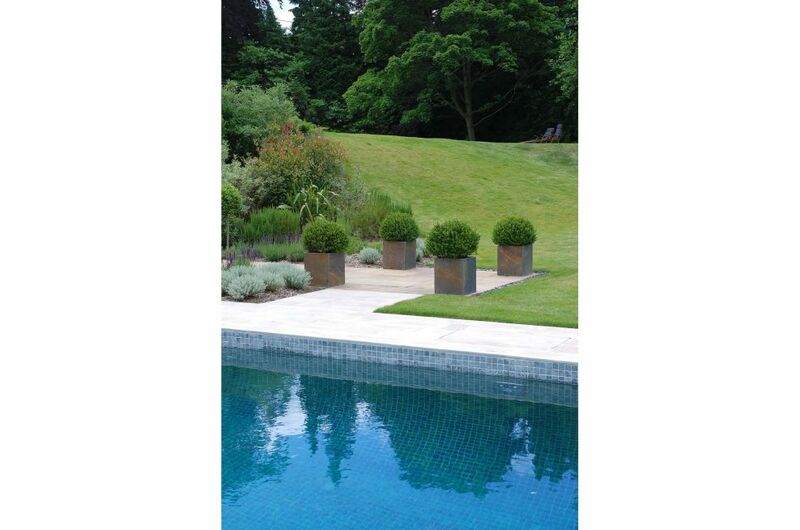 To green the perimeter of the outdoor dining terrace, Granite Tall Taper XXL planters were chosen. 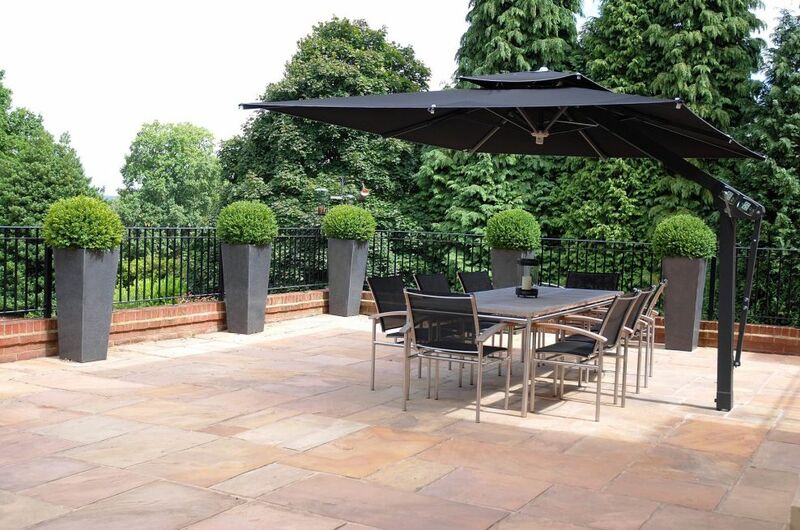 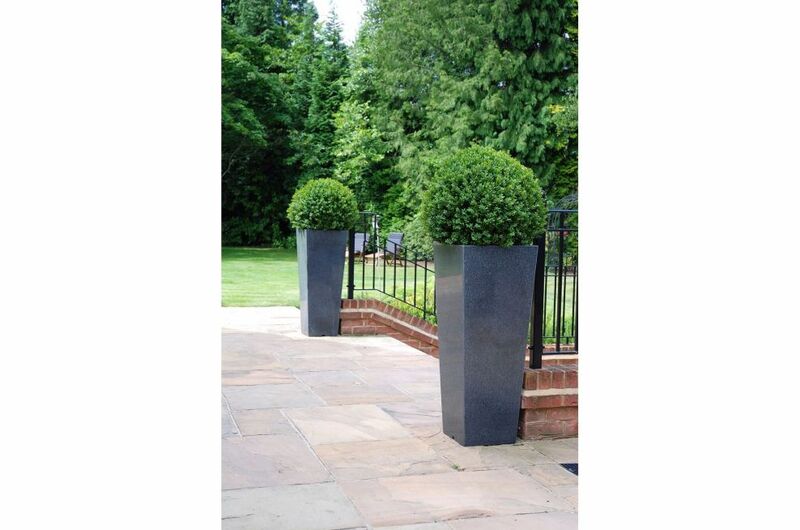 These 1000mm tall planters are in keeping with the scale of the terrace; and the grey granite stone contrasts with the warm colour of the paving, and coordinates with the dining furniture and shade. 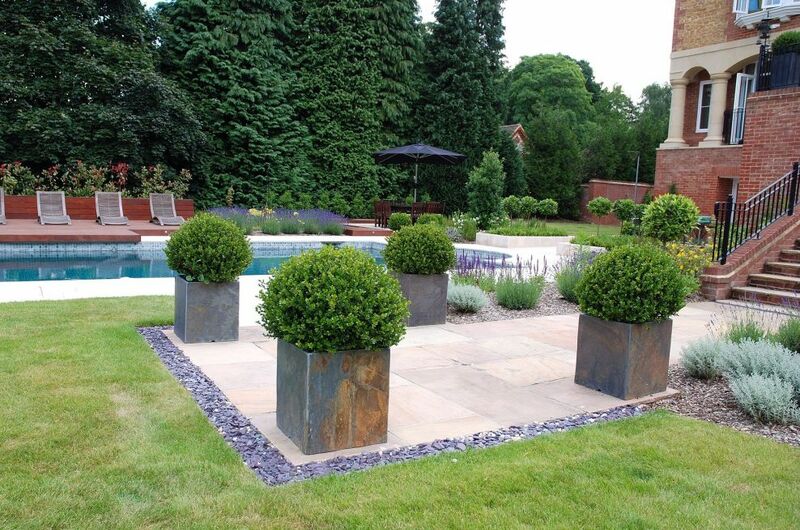 Around the swimming pool, a more relaxed feel was desired, and IOTA’s Slate planters were chosen. 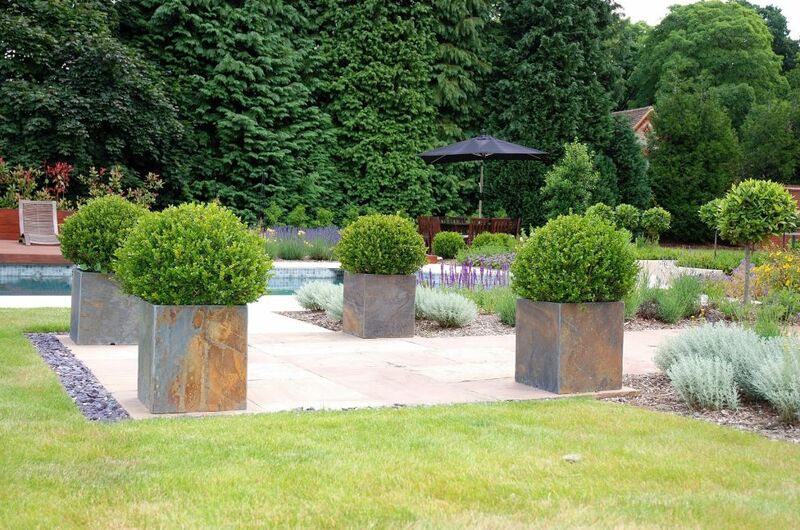 Slate Tall Square large planters mirror the disciplined geometry of the pool and sun terrace; whilst the bronze, rust and copper hues of the slate introduce a warming note, which also complements the bronze sculpture at the far end of the pool. 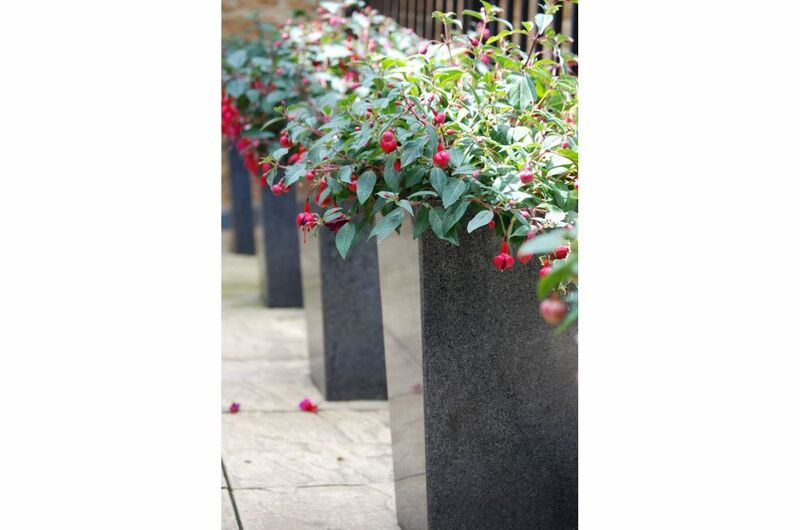 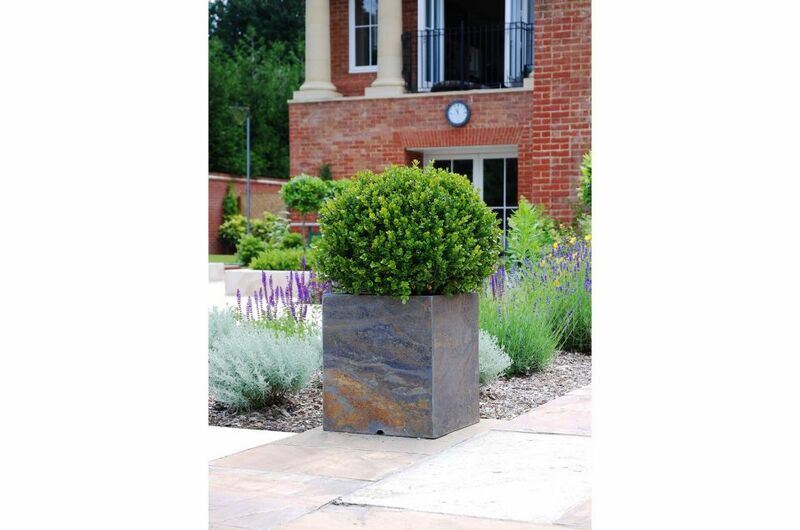 In a separate outdoor seating area, Granite Tall Taper large planters are planted with Fuscia to great effect. 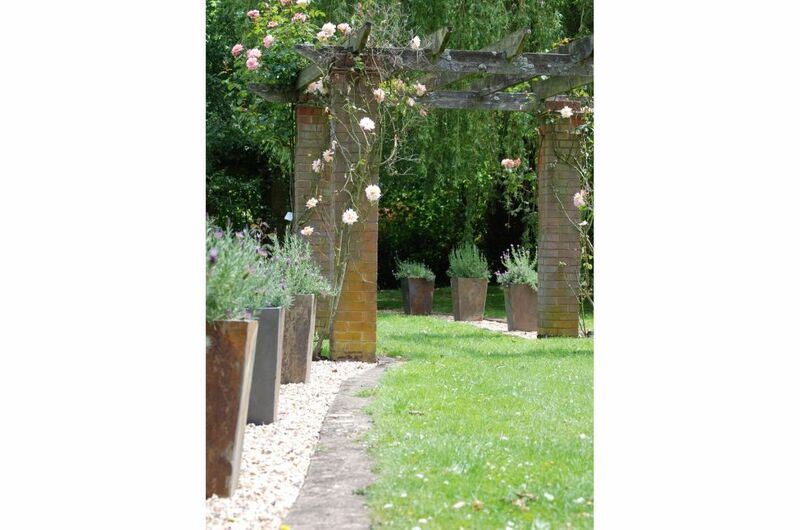 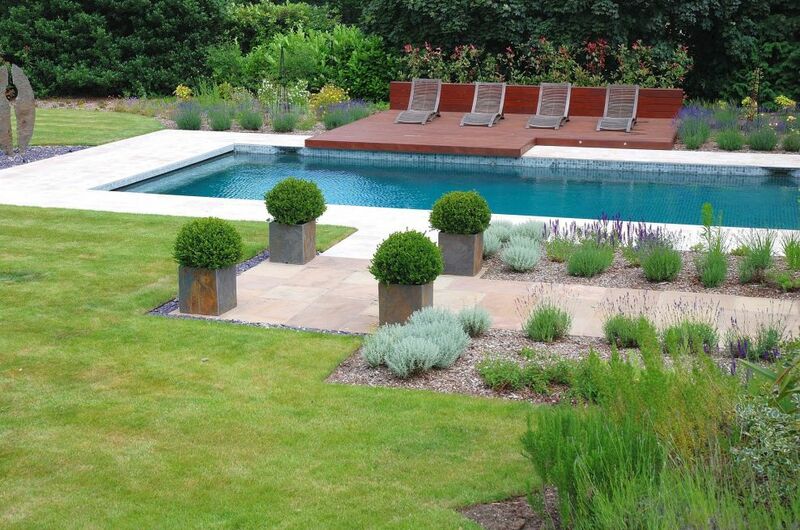 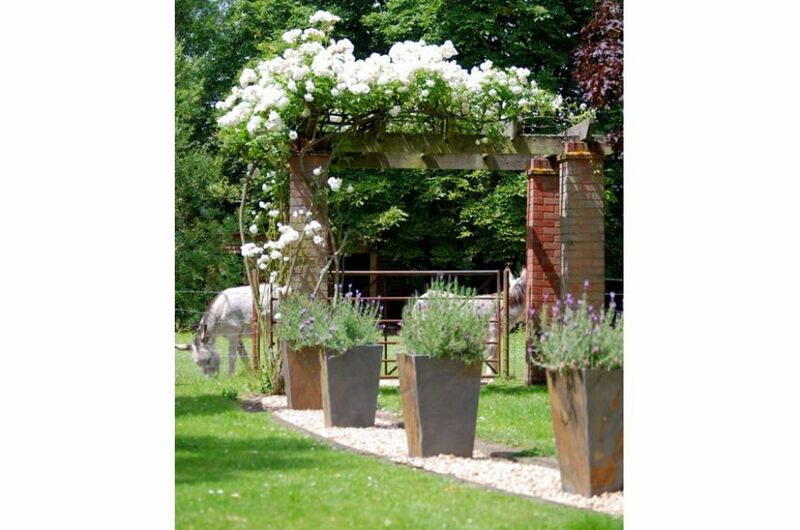 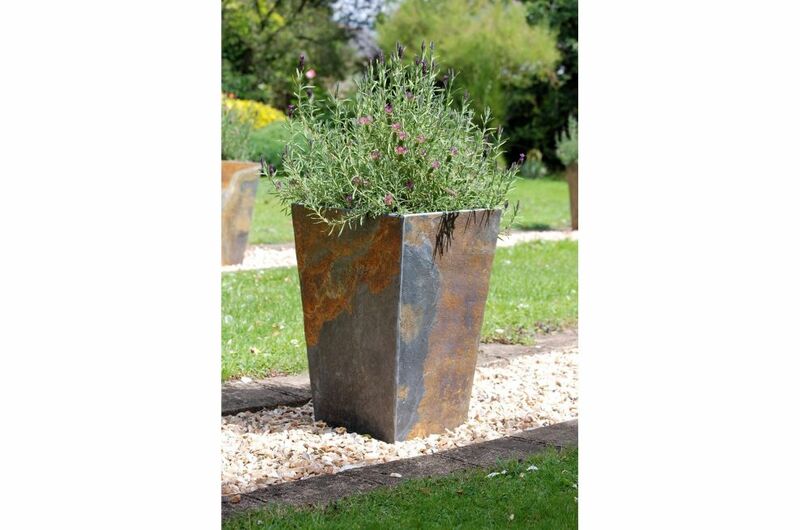 And finally, Slate Tall Taper large planters, planted with Lavender, line a grassed pathway to a picturesque orchard.